It’s been seven years since the punk revolution: the marriage with the ideals of the barricades didn’t last long. The music of the new, ironic and uninhibited generation of poets is suspended in the enchantment (very twentieth century) which combines the things said and the unsaid, things done and those imagined. Paddy McAloon speaks of this achievement and of his desire to go further. 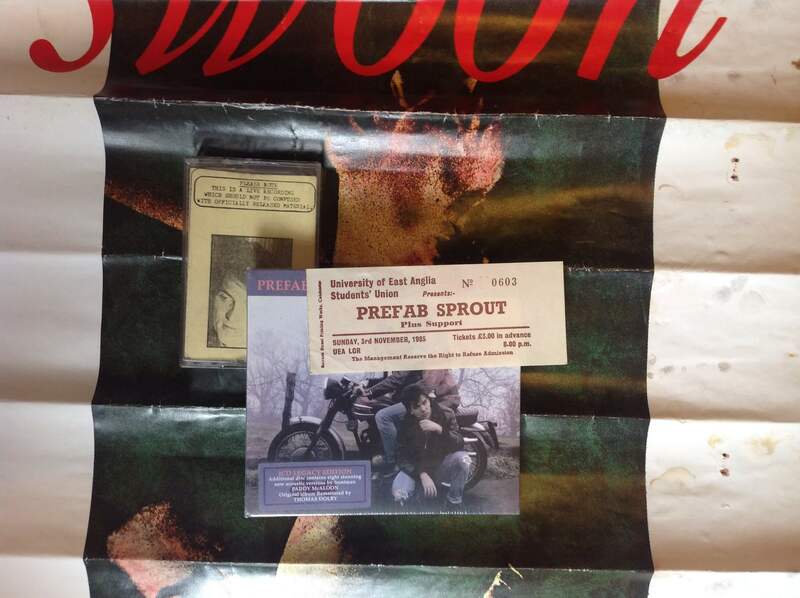 A comparison of newspaper clippings speaking of Prefab Sprout shows the uniformity of opinion reached by the critics. Probably… “Paddy McAloon is currently the best songwriter in the world …”. Although first made by Paddy, the definition is now well accepted. Many, I think, would remove even the “probably.” But who is this songwriter towards whom are thrown such embarrassing superlatives? 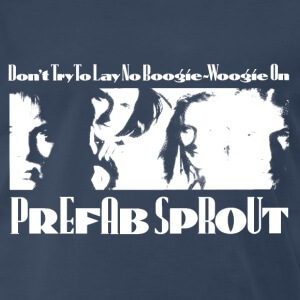 ln fact, Prefab Sprout is a very well kept secret; one of those things discovered by chance that you become unreasonably protective of. You want them to keep in a place where they can enjoy peace, maintain beauty and depth, but in your heart you worry that success might turn them into unpleasant creatures.. And so it was in the period following “Swoon”, their first album recorded for Kitchenware in Newcastle. With the release of “Steve McQueen”, the profile of Sprouts became slightly more focused, but the lack of a real hit-single still keeps them in the shadows. For all that seeds are being sown with the intention of reaping an eventual harvest, so far there is more praise than songwriter royalties. But Paddy seems willing to wait. 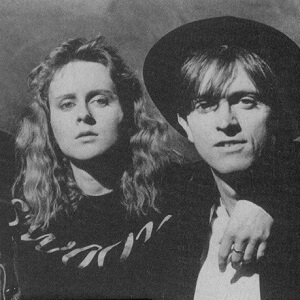 Prefab Sprout was formed by Paddy and Martin McAloon in 1978, a few years after they discovered Bolan and Bowie. They used the garage at home as a rehearsal room. 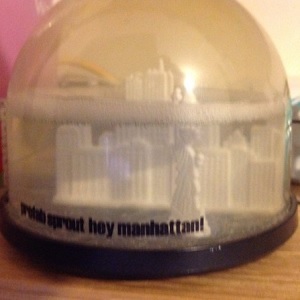 After the self-financed single “Lions ln My Own Garden (Exit Someone)” (note: the initial letters of the bizarre title form Limoges, a city where Paddy’s girlfriend had been studying), brought the Sprouts to the attention of Dave Martin (sic) of the Kane Gang, who in turn attracted the interest of Kitchenware. The rest of the story is history. Wendy Smith became the third permanent member. I think it’s appropriate to make a point before interviewing Paddy: the group has one of the ugliest names in the history of rock. Once Paddy fed reporters a story according to which the name came out of an misinterpretation of the words of a song. Now I do not believe this, and thus the mystery of the origin of these embarrassing vegetables remains. I talk to Paddy instead and he is much smaller than I expected. With beard and glasses, he lacks a little presence. He has some of the roguish charm of Morrissey. But Paddy is more homely, less tortured. His eyes are alive and alert. He reminds me of John Foxx. He was educated in a seminary until he was 18 years old and, judging by his calm manner as he listens, remembers a little of the priestly vocation. When were you certain you were going to write songs? I was 13 years old. It was not a decision-decision. At that age … I only remember that I listened to the Beatles and Marc Bolan and tried to imitate them with my guitar until I realized that if I wanted to do something, I had to write and not imitate. And it was always songs? You never thought you wanted to become a novelist or poet? Nothing but music. I played with the idea of writing other things, because I really like to read. but I don’t have the necessary discipline. I think that writing a book is comparable to composing a symphony: you have to think of the various movements and decide on the overall structure in advance. Three or four minutes is my limit, but it’s also an achievement; expressing yourself in such a short time is not as easy as it seems. Jimmy Webb and Paul McCartney are the masters in this complex discipline. Do you find the creative process easy? I find it very difficult to be consistent in expressing myself. What compositional criteria do you follow? My best work isn’t always the most difficult. Some songs come to mind playing the guitar. ln general I have a starting point in the lyric onto which I graft new new words, they influence each other: in summary, I try to hone the work until the moment of maximum inspiration. Which is the most exciting part of my work. I pass entire days writing. You mean you have a routine. like that of certain authors of best-sellers, who go to work at six in the morning? No, but I try to write something every day. I should thank them, I guess. But my work is not poetry. Any self respecting poet would laugh at it. My words have no structure, they do not follow the classical parameters, and absolutely need music to survive. There are things that I wrote which were very good: with them I definitely reached my goal. “Cruel”, for example, you always know it when you succeed; the lyric lives outside the music. Other tracks from “Swoon”, however, which I’m also happy with, are more vague and personal, using a less common sort of language, they’re not so memorable. People like these songs but don’t care to listen so closely, and think they don’t understand me. It’s a partial failure, to fail to communicate the ideas and feelings. But you should never look back. The next song should always be the best of all: it feels right to keep going. This man is deeply fascinated by music. He listens to a lot: his favourites include”Little Red Corvette” by Prince, “I Dream Of Jeannie” by Stephen Foster, “Tinseltown ln The Rain ‘ of the Blue Nile,” Station To Station “by David Bowie,” Off the Wall “and “Thriller “Michael Jackson, everything by Paul McCartney,” By the Time I Get to Phoenix” and “Wichita Lineman” by Jimmy Webb, “Send In The Clowns “Stephen Sondheim,”The Call Up ‘ Clash and much of Marvin Gaye. You always have great reviews. But how come you can’t enter the charts? Do you get radio airplay? On the radio we’re quite well respected, but we’ve had few television appearances, and the familiarity that creates success. Getting into the Top 20 isn’t difficult, but people don’t know us and our name suggests a John Peel sort of group. I was very disappointed when “When Love Breaks Down” wasn’t a breakthrough. I consider it a classic: if it was sung by someone else it would be a hit. Many said they were envious of it. I fully agree: before seeing you at the Dominion. some time ago. I didn’t know what you looked like. Amongst other things. I was surprised by your clothing (you in white linen suit and Wendy with her bare navel). Many people thought that was a joke, or that someone had told us to dress like that. In fact I really liked the suit. I even wore it during rehearsals. I know you’re not supposed to do that… I mean, not think about the look, but frankly the image thing, I’m not going to do it. And then all the time take to participate in the campaigns, do interviews… the time it takes to become “visible” I’d rather use for writing songs. In practice you end up not doing what people ask you, you do the music. I had a little rebellion after “Swoon” for example, and locked myself away at home to write. I understand that, with a little bit of success, it becomes increasingly difficult to isolate yourself. In fact I’m working very hard to promote ‘Steve McQueen’ I know it’s good and I want it to be known. I admire the Smiths who refuse to make video-clips. We do them but to hope they’re made with the same love and the same dedication lavished on the songs is a utopia. There are some people who like to use the images to say something; I don’t. And then there are misunderstandings: you want something that is a complement to a song, but the record company needs a simple advertising insert. It takes a lot of energy to argue with the record companies, and I don’t have enough; I have other things to think about. You seem obsessed with writing music. An urgency, not an obsession. Perhaps when we are accepted I will slow down. For now I want to make everyone feel what we are capable of. And then you never know when it will end… my God, I sound like a complete romantic. I read that you have material ready for the next five albums. 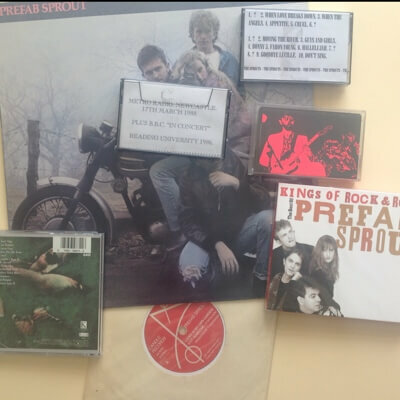 I started making records at the age of 24/25, so I have five years of songs in stock. Even some of the things, “Steve McQueen” are quite old; for example, “Faron Young”, “Bonny”,”Goodbye Lucille No.1.” I enjoy leaving things to mature. The only risk is that someone, in the meantime, can come up with my own ideas, with whole sentences identical to mine, which I’ve left unpublished. At that point it is hard to go and explain to them they came to my mind first. The truth is that the three songs mentioned we played live so many times that I finally got tired of hearing them. But all they needed was someone else’s ear. And Dolby proved the right man: intelligent and unbiased. He came to my house, I played him everything, and in the end it was he who chose the songs we worked on: he rearranged everything and now they sound like new songs. How did the meeting between you and Thomas Dolby come about? His management had asked CBS who our producer was; then he arranged it. But I had already heard him defend us during one of those programs in which a musician talks about his favourite records. I started to explore the possibility of having him as producer: I like the idea of a producer from a tradition different from ours; all keyboards and electronics. I thought that he could teach me a lot. As a composer, I knew only “Hyperactive” and” She Blinded Me With Science”, but it was the character that I really wanted to connect with. He always gave the impression of one who understood the mechanisms of music. Then I listened carefully to “The Flat Earth”, and I decided to meet him. He has far more talent than I thought; I was never satisfied with my ability as an arranger. Without changing anything, Dolby has created extraordinary arrangements. I gave him only material where I played the songs on acoustic guitar. We started right from the basics, nothing more than the demos. Can we reveal the mystery of the title? My explanation seems made up but it is unfortunately true. I dreamed I heard our new record played on the radio; it was called just that: “Steve McQueen”. When I woke up, I didn’t think it was an exotic name: the others agreed. We got permission from the widow of the actor, and here we are having to explain the unusual choice. I’m not a fan of McQueen, but I wanted a name that the public couldn’t immediately associate with us. And Faron Young? And it’s true that “When The Angels” and a tribute to Marvin Gaye? Faron Young is a country and western singer who had a period of moderate success with “Four ln The Morning”, around ’75. I wanted to show that country & western, which should be popular music, is inadequate, is not important to the life of someone who works in the city. It’s another American myth. “When The Angels’ was written shortly after I heard the news of the death of Marvin Gaye. It’s the story of angels who, jealous of the voice of Marvin, do everything they can to possess it. And you would have taken it to him? And your own voice and to throw that away? No, it works, but the problem is that when I hear Prince I think you could do a lot more with a voice like that. Why is it that Wendy, who has a beautiful voice, never sings alone? Indeed, Wendy… and to think that when she speaks she has a very distinct regional accent. She sings on the B-side of “Faron Young”, and in the future will do more. CBS really like her voice. I’d like to play something that no one has ever done. But to repeat a song you have to be absolutely certain of being able to improve it. I’d like to sing “Send ln The Clowns” or ‘Sorry / Grateful” by Stephen Sondheim. 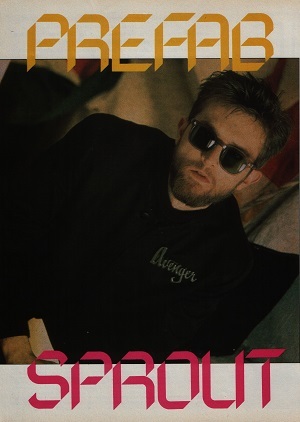 Tell me about the “rival” Morrissey. I’ve never met him. I only know them as the Smiths. Musically I find them a bit “all the same”, and the voice is monotonous. 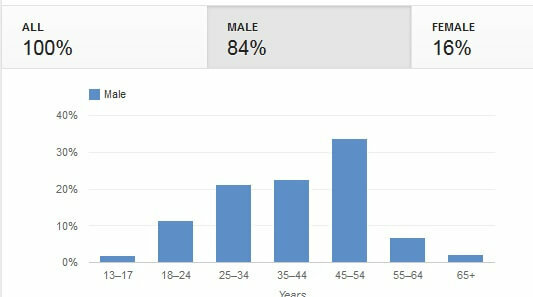 I must say that the great success of the Smiths surprises me. It seems to me they have a music quite difficult to penetrate, too clever, too thin to enjoy universal acceptance. The thing I like about him is that he writes from a completely personal point of view. The lyrics of The Smiths are extremely original, everything he writes, only Morrissey could write it. We spend five minutes telling us about “horror stories” about certain interviews and how some journalists, nice face to face, end up writing perverse things. Finally Paddy’s press agent says it’s time to stop.